Respawn Entertainment’s Titanfall 2 improved upon its predecessor in almost every way. 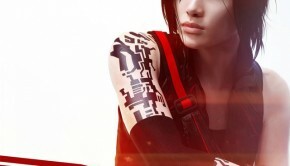 Most drastically, whereas the original game was a multiplayer exclusive, the sequel added a campaign mode that gave the franchise some much needed character and depth. 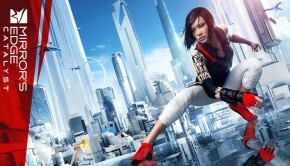 Moreover, whereas the original game featured a robust but typical action score, returning composer Stephen Barton took a more ambitious approach for the sequel. The end result is a score that is mostly satisfying both in and out of context. The Titanfall 2 soundtrack proves its a step above its predecessor right from the opening track “BT-7274”. All the elements one might expect from modern Hollywood action scoring are here: commanding brass melodies, soaring and choral parts, and moody electronic and choral undertones to name a few. However, Barton brings them together into an extended cue that is constantly evolving and always engaging. 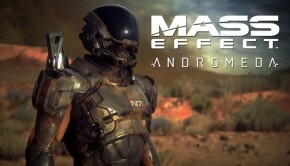 Whether the grandiose build-ups from 0:44 to 1:21 and 1:40 to 2:23, the rich thematic explorations from 2:44 to 3:49, or the bittersweet finale, the composition manages to capture both the action and personal elements of the game. Even better, the exquisite pacing and structure of the track ensures it segues beautifully with the ever-changing cinematics while still resonating well as a whole on the stand-alone level. Those that are allergic to Hollywood blockbuster sound will still find this track quite obnoxious, but it ought to appeal to those film and game score listeners out there looking for something cinematic but meaningful. Titanfall 2‘s soundtrack is at its most impressive when Barton focuses on the character-driven campaign mode. 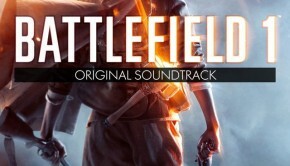 One of five tracks to break the six minute mark on the soundtrack, “Blood and Rust” gradually builds in momentum and aggression for most of its playtime. Yet by the 4:40 mark, all the orchestral elements have exited to give way to a sombre solo piano line reflecting the costs of war. Shifting from fortissimo to pianissimo in mere seconds, this track boasts a dynamic range and dramatic flair that is very rarely experienced in modern shooter scores and certainly wasn’t present in the original Titanfall. Another centrepiece is “Rifleman Cooper”. It uses many of the clichés of bittersweet cinematic scoring, but in a way that is carefully tailored to the protagonist and the scenario. The complex interplay of the pensive violin lead with the darker cinematic elements reflects the central narrative of the game and also sounds beautiful against the electro-orchestral background out of context. Not all tracks on the soundtrack are so majestic. Just as “Blood and Rust” took spectacular turns during its development, so does “Link to Pilot”… in an entirely less appealing way. The soaring orchestration of its first half gives way to repetitive cookie-cutter tension scoring. “Triptych” draws on influences from sci-fi horror films, such as the Aliens franchise, to create the sense of an ever-building threat. While broadly effective as background music in context, the composition bores on a stand-alone level between its generic soundscaping and highly repetitious string ostinato. “Substation”, “Apex Predators”, and the bonus track “Catwalks” likewise suffer from these all too conventional scoring techniques. The production process doesn’t help matters. 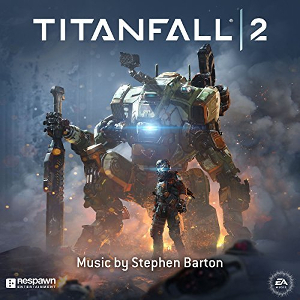 Adopting the same approach as Remote Control’s film scores, Titanfall 2 blends performances from the London Session Orchestra with all sorts of post-production effects, resulting in the sort of organic but processed sound most commonly associated with Hans Zimmer’s works. While this approach complements certain tracks on the score, it makes those like the aforementioned sound even more anonymous and dull. Titanfall 2 generally makes up for these flaws with its other large-scale tracks, from the prolonged turbulence of “Ark Pursuit” to the intense action of “Fold Weapon Test”. However, perhaps most surprising of all is “Battle of Typhon”, which brings together the action, horror, and dramatic scoring elements featured elsewhere in the soundtrack into a climactic cue. The most impressive aspect of the track its its avant-garde choral work, which perfectly captures the disorientation and alienation of the protagonist amidst the chaotic battle. It really helps to lift Titanfall 2 from yet another Hollywood blockbuster score into something genuinely affecting and memorable. Finally note that it is well worth purchasing the soundtrack from iTunes, as there are five extra tracks not present in other versions. These tracks generally bring a lot amount to the experience, whether the extended ethereal soundscapes of “Ash”, racing string majesty of “Combat Efficiency Rating”, or fitting main theme reprises in “BT-7274 Redux” and “Down to Business”. Titanfall 2 is a surprisingly good score. 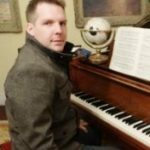 Stephen Barton proves himself to be an intimate composer who is capable of simultaneously reflecting complex on-screen scenes while producing fully-fledged stand-alone compositions. While he draws heavily on Hollywood conventions, it is rarely constrained by them and often subverts them. And while there are plenty of dull moments, the soundtrack makes up with it with plenty of momentous individual tracks and a strong dramatic arch. Tentatively recommended. Posted on January 12, 2017 by Chris Greening. Last modified on January 12, 2017.